Today, the U.S. Department of Education announced steps to change two important higher education regulations—a delay of borrower defense and a renegotiation of the gainful employment rule—and to conduct a new regulatory process to rewrite these rules. “We are deeply disappointed in the Trump Administration’s continued effort to put corporate interests ahead of struggling students. Over the past few years, and after a rigorous review process, the Obama Administration proposed and finalized two rules to ensure that higher education programs, funded by federal student aid dollars, provide an adequate education that will enable borrowers to pay back their loans upon completion. “The premises of the Gainful Employment Rule and the Borrower Defense to Repayment Rule are simple: 1) career training programs should provide sufficient education to enable graduates to obtain jobs and actually pay off their debt without a significant financial hardship and 2) students defrauded by their schools should be able to have their loans discharged. “These rules were created to shield students and taxpayers from deceptive acts like that of ITT Tech and Corinthian Colleges–for-profit college systems that abruptly closed their doors after widespread abuses put them on the brink of bankruptcy and jeopardized the futures of thousands of students. Though these are simple, pragmatic rules that protect not just students but also safeguard the taxpayer investment, Secretary DeVos today showed her willingness to place the devastating costs of the actions of these predatory institutions squarely on the shoulders of students and working families. “With student loan debt and defaults at an all-time high, it is extremely troubling that this Department, rather than increasing protections for students, has decided to delay and destroy these pivotal rulemakings. If the Department wants to take a more positive and impactful step, it should use these regulations as a starting point to further increase protections and create a higher education system that produces strong student results, not just debt and limited employment options. Based on its recent track record and substantial connections with the for-profit college industry, we are doubtful that this Department, under Secretary DeVos’ leadership, will produce rules that defend students and taxpayers from these predatory institutions. 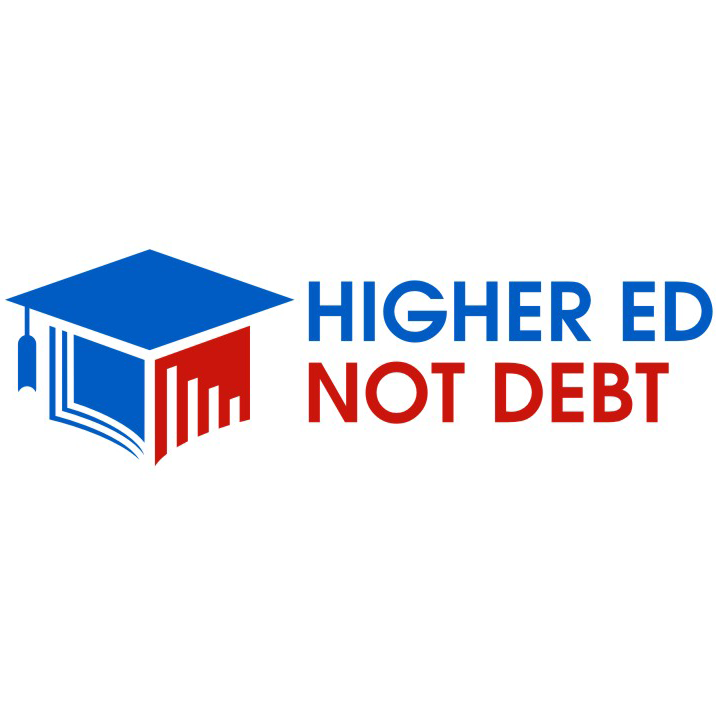 “Blocking the Borrower Defense to Repayment (BD) rule imperils the economic wellbeing of thousands of defrauded students, and is a taxpayer-giveaway to the predatory for-profit college industry. It’s clear that Secretary DeVos and her Education Department favor the profiteers of the for-profit college industry over students, families, and taxpayers. DeVos’ Department hired an executive from the for-profit industry, Robert Eitel, and is now dismantling the very regulations his industry’s bad behavior predicated. “The borrower defense rule is simple, and important. If a college or career program commits fraud, its students deserve a full discharge of their federal loans. Fraudulent schools, not taxpayers, should be liable to repay those debts. No student should ever be asked to sign away their legal rights to get into the classroom. “As the collapse of Corinthian and ITT Tech showed us, indebted victims of predatory schools are still waiting for relief from DeVos, and are facing credit penalties, wage garnishment, and Social Security reductions, all to pay off debts to spurious schools. “It is outrageous that the Secretary intends to block a rule that protects federal student loan borrowers, veterans, and taxpayers when schools like Corinthian Colleges or ITT Technical Institutes engage in fraud or abruptly close. “Today’s action by the Trump Administration will be cheered by for-profit colleges and Wall Street but is terrible news for students, taxpayers, and anyone concerned about rising student debt. This irresponsible action will rightly be challenged in court. “Student, consumer, and veterans organizations, state attorneys general, and many others are on record opposing any delay or weakening of the borrower defense and gainful employment regulations because they protect both students and taxpayers from waste, fraud, and abuse. The Congressional Budget Office estimates that repealing the gainful employment regulation alone would cost taxpayers $1.3 billion over the next 10 years. “Halting and dismantling these common-sensesafeguards will leave taxpayers holding the bag when schools commit fraud or close suddenly, make it easier for unscrupulous schools to defraud students and evade accountability, make it harder for defrauded students to get their loans discharged as provided under the law, and funnel taxpayer dollars to programs that consistently leave students buried in debt they cannot repay. “During her confirmation process, Education Secretary Betsy DeVos said she believed students have a right to seek legal remedies in court when they think their college has defrauded them. Yet today’s proposed delay of the borrower defense regulation scheduled to go into effect on July 1 would deny students this very right. The delay would let colleges keep using mandatory arbitration agreements to evade accountability by blocking student access to the courts, as Corinthian Colleges and ITT Technical Institutes did and most large for-profit colleges continue to do. It is now confirmed: Donald Trump and Betsy DeVos aretrashing the Obama rules created to protect students and taxpayers from scam for-profit colleges. The purpose of these rules is to determine which career training programs are actually helping students build careers, and channel taxpayer dollars to those schools, rather than to overpriced, low-quality schools that are systematically deceiving and ripping off students. For-profit colleges have donated big money to the GOP, Trump owned one, DeVos invested in them. An executive from predatory Bridgepoint Education, Robert Eitel, now works at the Department of Education. The for-profit college industry has relentlessly opposed the Obama rules, spending millions of our tax dollars to hire lawyers and lobbyists to try to defeat them. Now they appear to have prevailed. This is blatant corruption of policy by a predatory industry, one that has faced numerous law enforcement investigations for fraud. This is the opposite of draining the swamp. Under Trump, the swamp runs everything. The students — veterans, single parents, immigrants, and others — whose financial futures have been ruined by predatory for-profit colleges are increasingly standing up for themselves, and they have strong allies in Congress and among civil rights, consumer, veterans, labor, and student organizations. If the Trump administration wants to stand with for-profit college barons who have enriched themselves with taxpayer dollars while misleading and abusing students, they will face a sustained public fight. Americans desperately need stronger options to train for careers; that is what we should be investing in, rather than supporting blatant fraud operations run by scam artists working in strip malls and on Wall Street. It has been widely documented that servicemembers, veterans, and their dependents, families and survivors are targeted for fraud because of the 90/10 loophole. Predatory college recruiters not only use misleading advertising and recruiting to enroll veterans, but also sign them up for student loans, sometimes without the veterans’ knowledge. Defrauded veterans not only deserve the loan forgiveness they are entitled to under Borrower Defense but also the protections provided by the Gainful Employment rule, which the Department also announced it planned to renegotiate. In February 2017, sixteen veterans and military service organizations wrote to Congress urging that the Gainful Employment rule but fully implemented as written. While today’s announcement by the Education Department is good news for predatory colleges, it is terrible news for America’s servicemembers, veterans, and their families who honorably served the nation, and to the taxpayers who fund their GI Bill educational benefits.